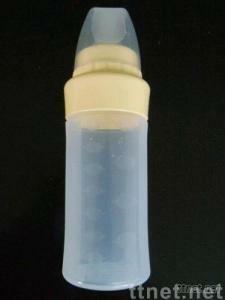 1.The silicone feeding bottle does not contain BPA etc. odorless, and also it can be sterilized in boiling water. with feeding by gently squeezing the sides of the bottle.